OpenGate Lending : Adjustable Rate Mortgage (ARM): The Lowest Rates and Monthly Payments Available - Don't Miss Out! 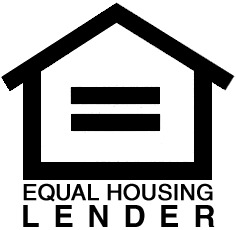 An excellent loan for consumers that may require short term financing that gives them the maximum monthly savings. If you plan on selling your home, moving or refinancing your home within 5 - 7 years this may be your best option. Plus FHA & VA Arms are available as well! May need the flexibility a 5 or 7 year ARM offers. FHA & VA ARMS may be available as well. So not only do you get the flexibility you need but the security a government insured loan provides. Understand rate adjustments are capped at 5% above your initial rate and 2% or 5% at each adjustment period. For example, your initial interest rate is 4.0%, your rate could never go higher than 9.0%, and could never rise more than 2% per year. So after year one in this example your rate could go from 4.0% to 6.0%. Can prepay their mortgage at any time without any prepayment penalties. The quicker you pay your loan the more money you save.